On 1 October 2016 TMR commenced collection of the National Injury Insurance Scheme – Queensland (NIISQ) levy as part of vehicle registration payments. Under the NIISQ, eligible people seriously injured in motor vehicle accidents will receive essential care and support benefits, regardless of fault. This addresses a gap in the existing fault based compulsory third party insurance coverage. The NIISQ is regulated by the National Injury Insurance Agency Queensland (NIIAQ). However, substantial work was undertaken by TMR to facilitate the collection of the NIISQ levy to enable the continued sustainability of the scheme in Queensland. In May 2017, the media brought to light via a series of investigative pieces, the community discontent over the towing practice of removing parked vehicles from publicly accessible private car parks and roads. As a result of growing community concern, the Queensland Government launched an independent Towing Industry Investigation. Led by retired District Court Judge, Mr Michael Forde, with TMR providing secretariat support, the investigation invited submissions from all interested parties and met with a wide range of stakeholders. The investigation will aim to reach a balance between all parties' interests. The key agenda will be finding what is fair and reasonable from a community perspective and weighing this against a property owner's right to remove vehicles parked on their property without permission and against signed parking conditions. The independent investigation will report back to the state government by August 2017 with a series of recommendations that are expected to range from community education to regulation. TMR will then consider all available avenues before making changes. As well as the investigation, TMR implemented a hotline for the general public to make complaints, to assist TMR in collecting relevant data on current towing industry practices. The hotline answered more than 500 calls and recorded approximately 400 complaints since commencement on 9 May 2017. Using the intelligence gathered, a list of hot-spot suburbs for predatory towing practices was published on the TMR website. In addition to the hotline, Transport Inspectors have increased their focus on current licensed tow truck operators, ensuring operators are complying with current regulations. The holder of a P1 or P2 provisional, probationary or restricted driver licence who is under 25 years is not permitted to drive a high powered vehicle (HPV). Queensland businesses expressed concern that the HPV exemption scheme did not adequately cater for employees of businesses who needed to drive HPVs in the course of their employment. The intent of the HPV restrictions was not to prohibit motor mechanics, or other workers from performing their duties, but rather to prevent inexperienced young drivers from driving a HPV until their driving skills are more developed. In response to this a business HPV exemption scheme was introduced in December 2016. This exemption allows employees of a business to drive a HPV, where driving a HPV is an integral part of their work duties. For example, a motor mechanic who is required to road test HPVs. The department implemented new motorcycle licence laws in October 2016, fundamentally changing the way a person progresses through the motorcycle licence system. increased standardisation to Q-Ride (see glossary) courses and further emphasis on behaviour and higher order skills. In developing the new laws, we considered community and industry feedback, crash data, road safety research, and comparisons to other licensing systems. Novice riders will now have an improved skills base when they begin riding on the road, while concepts around decision making and motivation are introduced and reinforced as they progress to different motorcycle licence classes. These changes are aimed at ensuring that riders will have a higher chance of staying safe on our roads. 65 motorcyclists were killed in 2016–17, which represents an 18.2 per cent increase from 2015–16, and a 32.7 per cent increase over the previous five years. On 16 December 2016, TMR amended the Queensland Road Rules to extend the time limit from two to five minutes for a driver stopping in a loading zone to pick up, or set down a person with a disability. This amendment was made in response to concerns that a two minute time limit was insufficient for a person with a disability to perform actions related to being picked up, or set down. The two minute time limit still applies for picking up, or setting down a person who does not have a disability. On 30 March 2017, new offensive advertising laws commenced in Queensland. Under the new laws, TMR may cancel the registration of a vehicle where a commercial operator has refused to remove advertising from a vehicle that has been found by the Advertising Standards Bureau (ASB) to be in breach of the Australian Association of National Advertisers Code of Ethics. The ASB may refer cases about offensive advertising on vehicles registered in Queensland to TMR where a determination has been made that the advertising is offensive and the operator of the vehicle has not taken the action to remove the advertising. A thorough complaints process is followed by the ASB before they make a determination and refer a case to TMR. The new laws enable the removal of vehicles from Queensland roads that are displaying offensive advertising that is perceived as sexually explicit, discriminatory, or otherwise offensive to members of the community. TMR continued to update and contemporise its maritime legislation during the last year, progressing changes to the following acts and regulations. Preserved the effect of a transitional provision in theTransport Operations (Marine Safety) Transitional Regulation 2016. This is to ensure that all ships that are not regulated under the federal government'sMarine Safety (Domestic Commercial Vessel) National Law Act 2012 continue to be appropriately regulated under Queensland legislation. Remade the regulation which has a primary purpose to provide for a regulatory system that achieves an appropriate balance between marine safety and an effective and efficient Queensland maritime industry. It replaced expiring subordinate legislation and responded to the consequences of national reform initiatives while achieving a balance with legislative modernisation. The remake was enacted in September 2016. 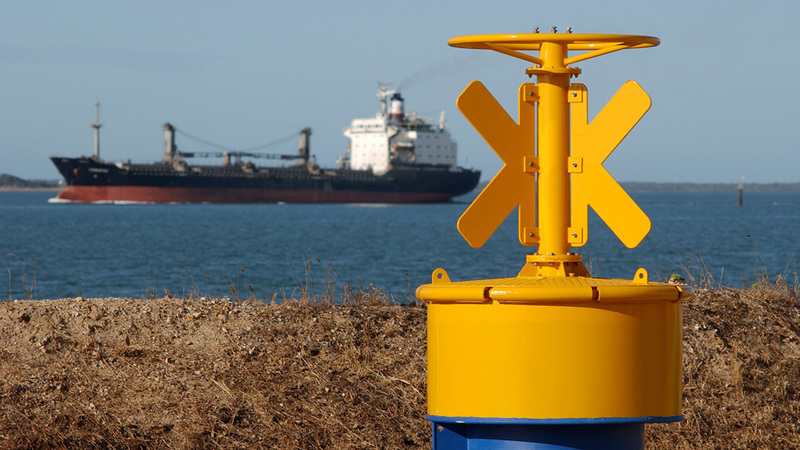 Established the Amrun compulsory pilotage area and appointed RTA Weipa Pty Ltd as the responsible pilotage entity to provide or arrange provision of port pilotage services in the private port and enables the regional harbour master to have oversight of marine safety in the pilotage area. Commenced the remake including reviewing current legislation with a discussion paper released for public comment. The remake is due to be enacted by September 2017.